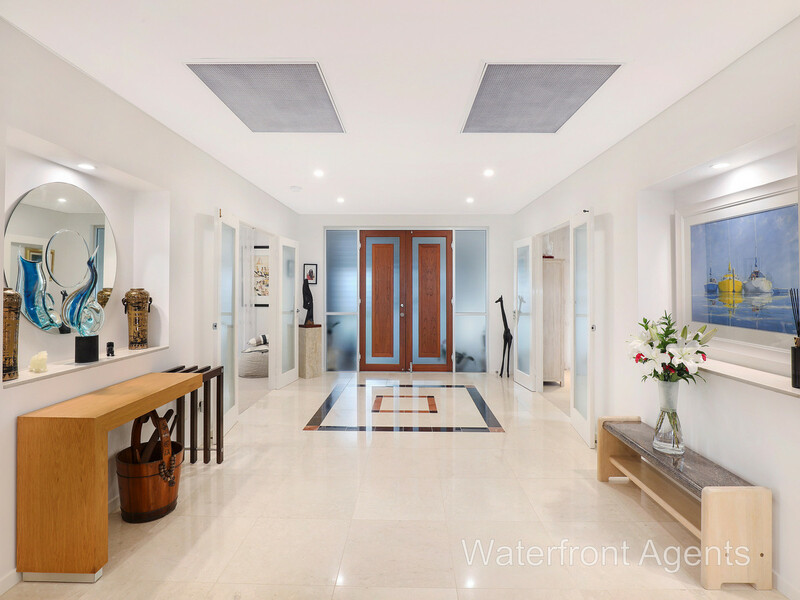 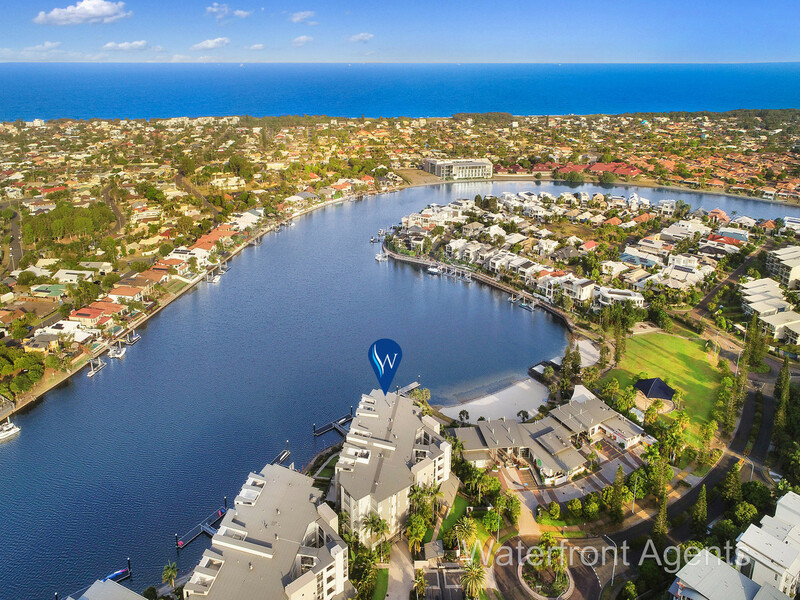 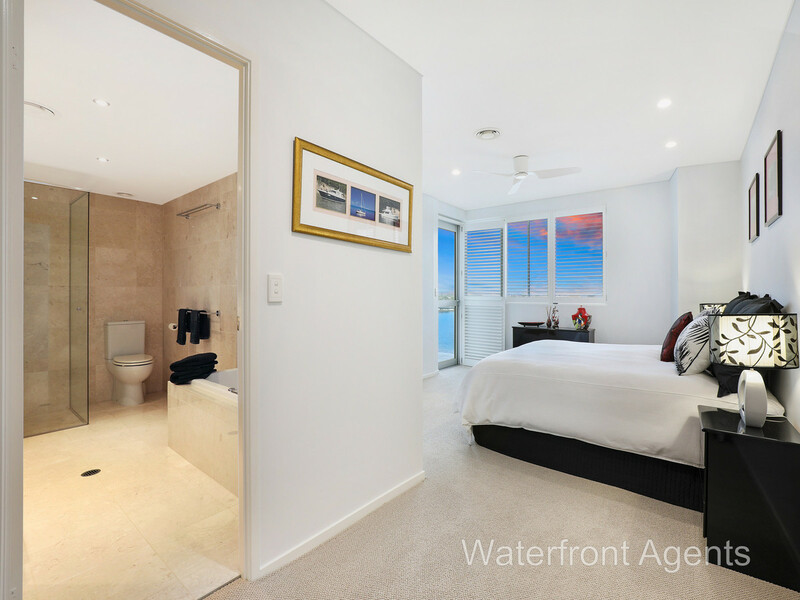 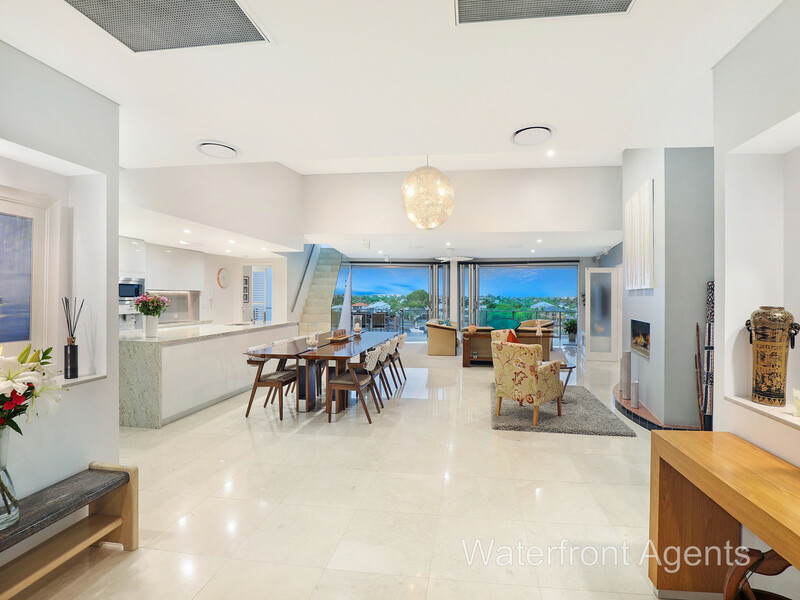 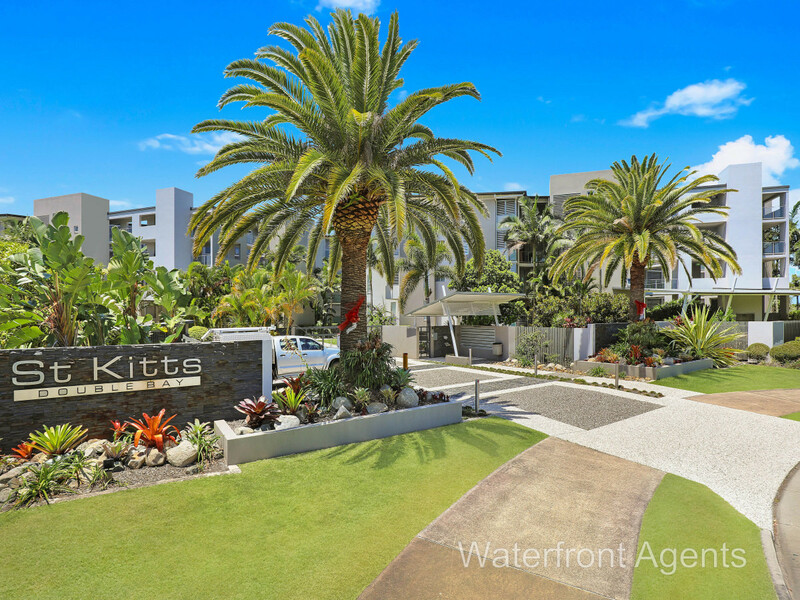 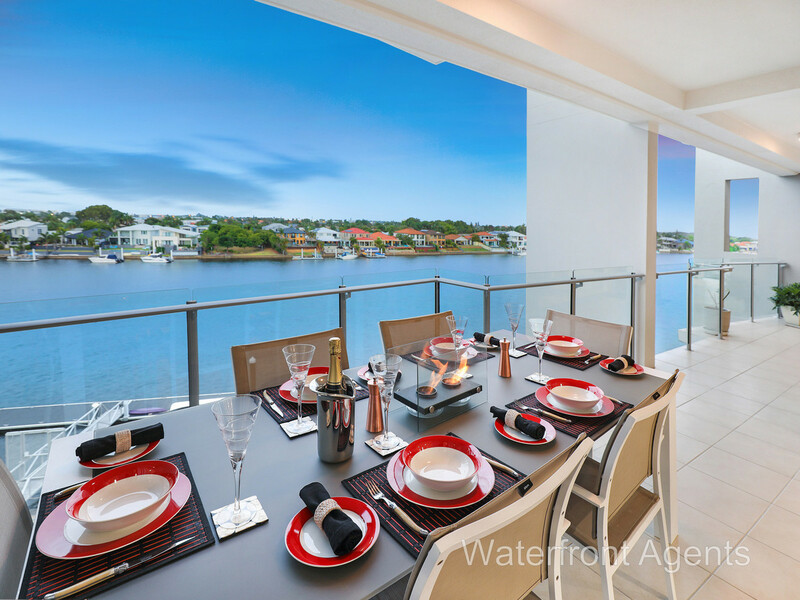 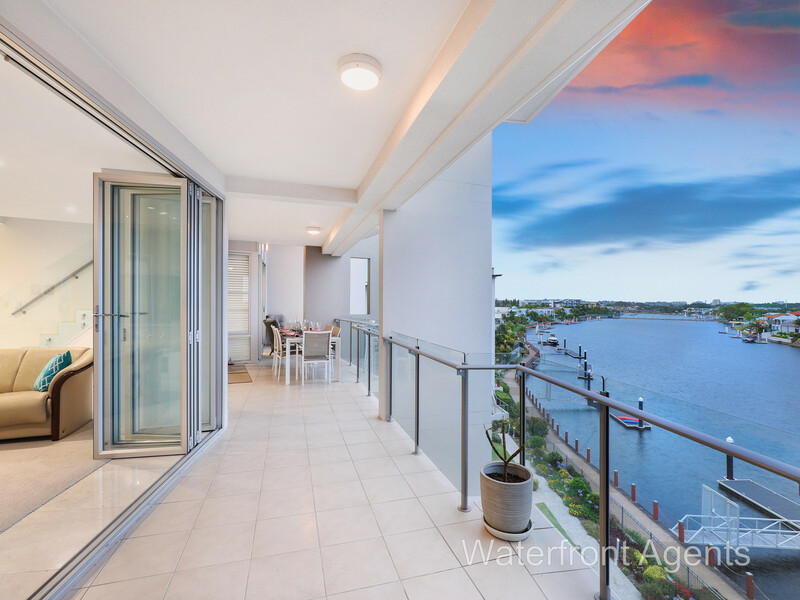 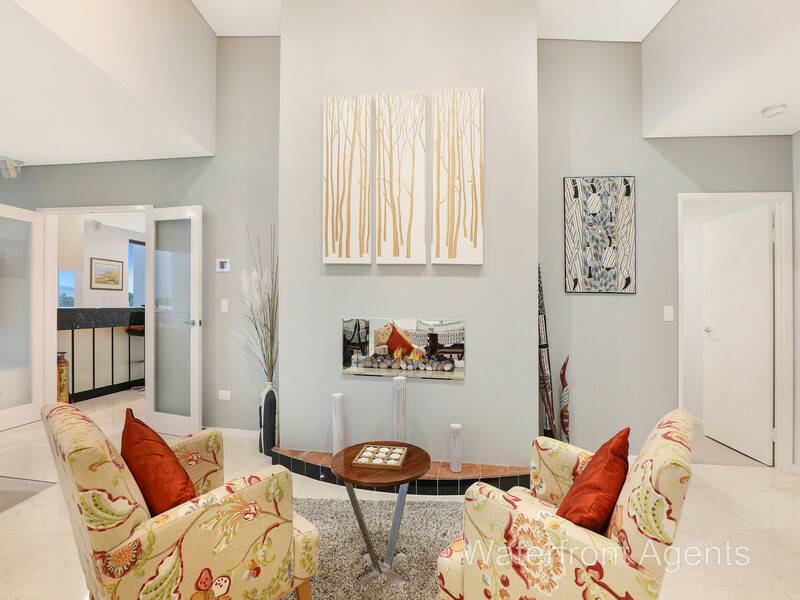 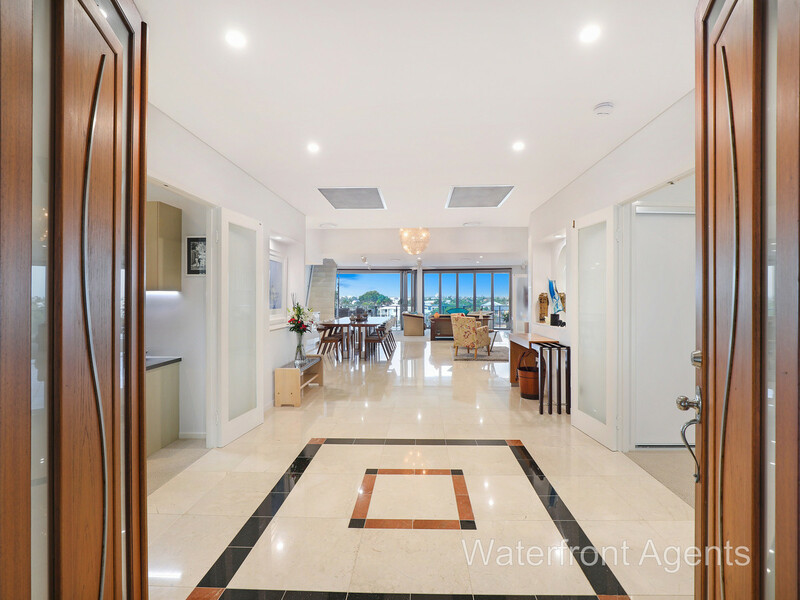 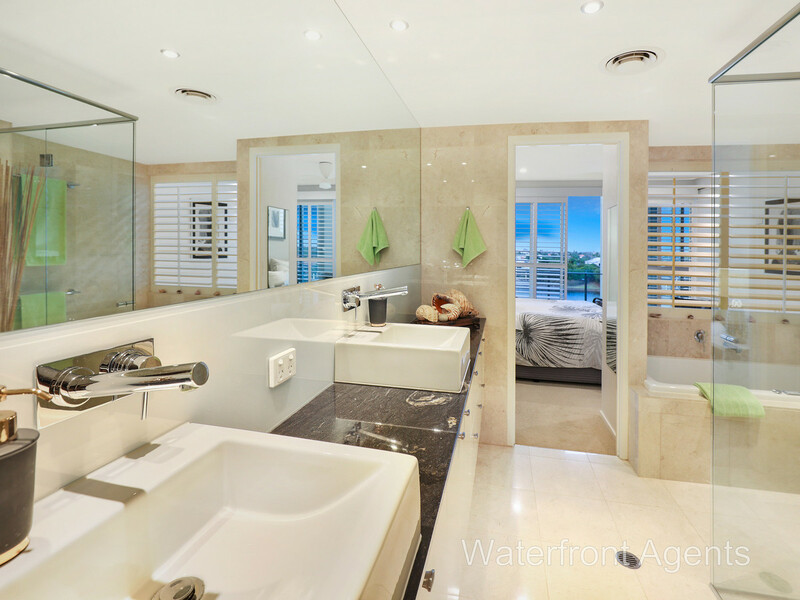 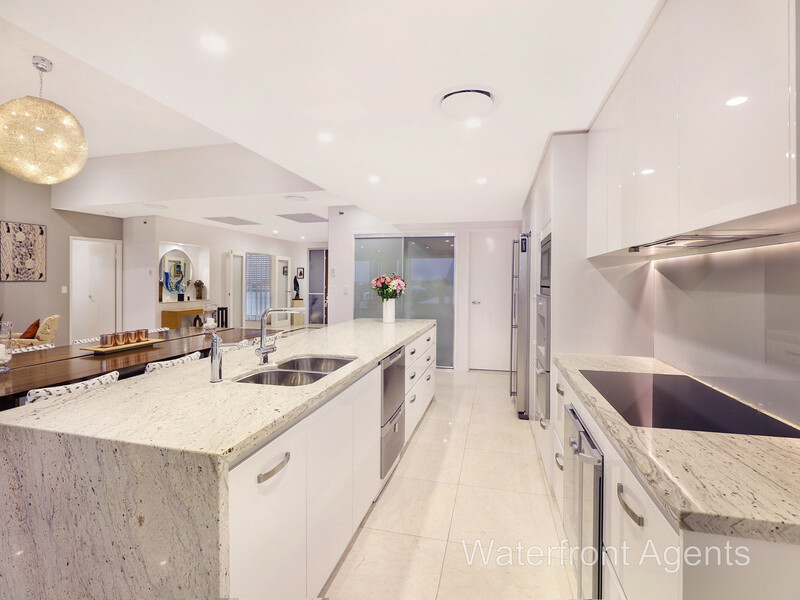 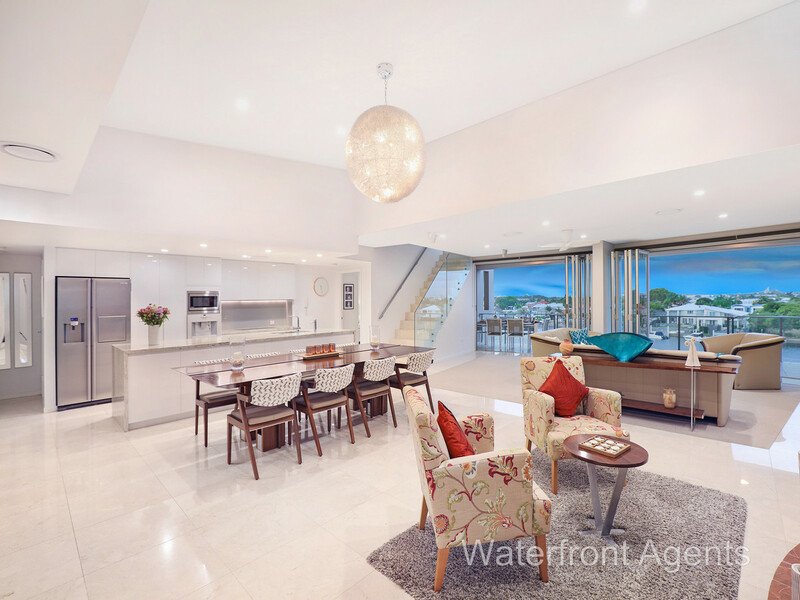 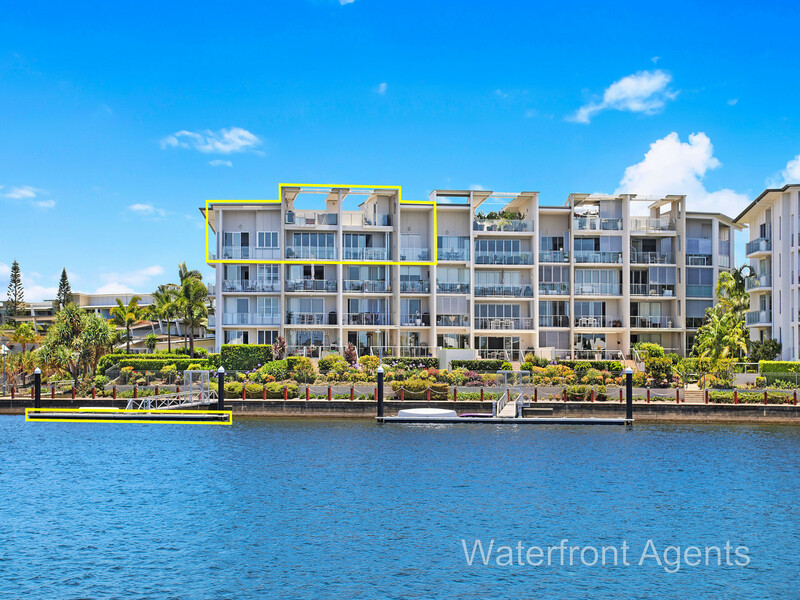 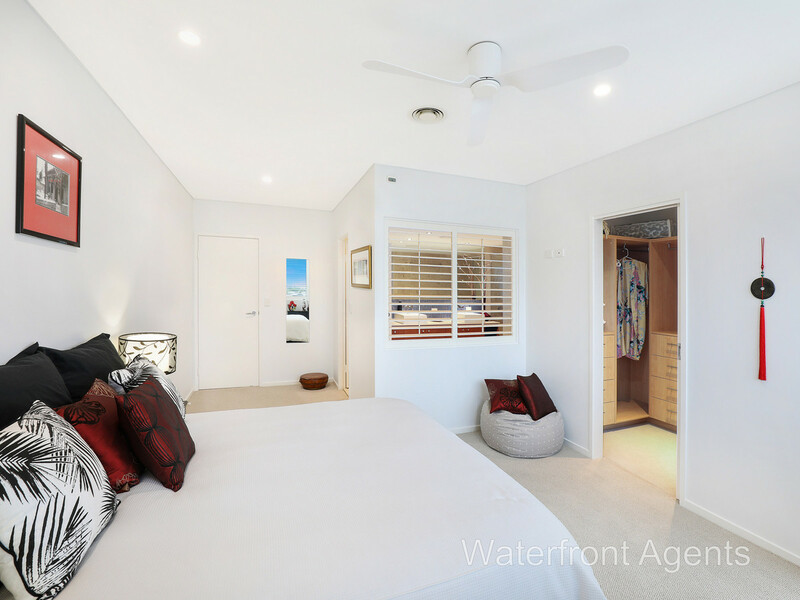 Uncompromised beauty, quality and attention to detail is found throughout this exclusive 418m2 luxury penthouse apartment located on the Sunshine Coast at 16/7 Grand Parade, Kawana Island “St Kitts”. 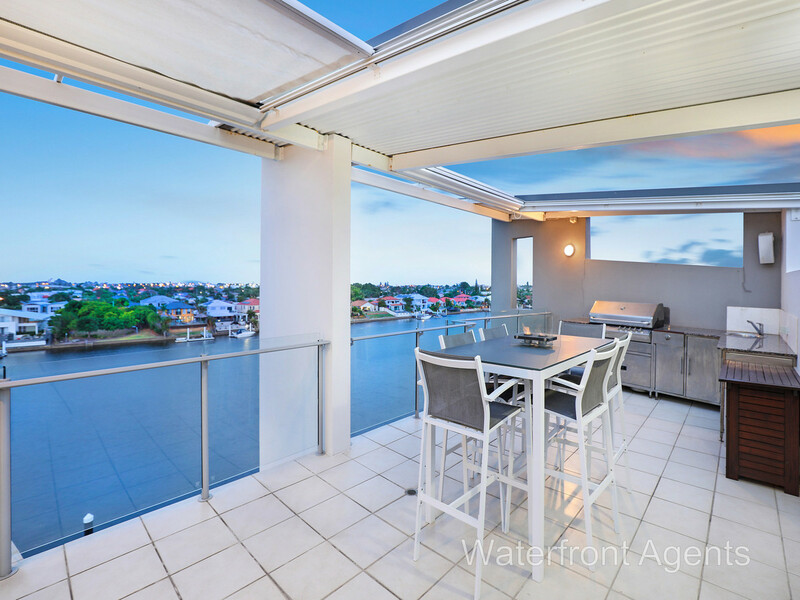 You’ll be mesmerised by the north easterly aspect that harnesses natural light, cooling breezes and the magnificent backdrop of the waterway. 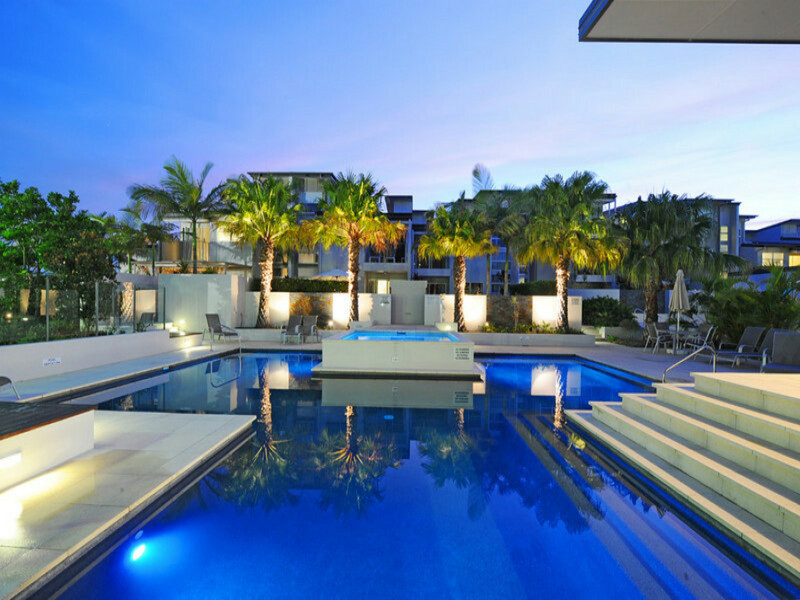 Set amid beautifully landscaped grounds and fantastic facilities the apartment has house-like proportions and features exceptional 360 degree views both day and night from the Glasshouse Mountains, out to sea, up to Coolum, and then back to the Glasshouse Mountains via the Blackall Ranges in the south. 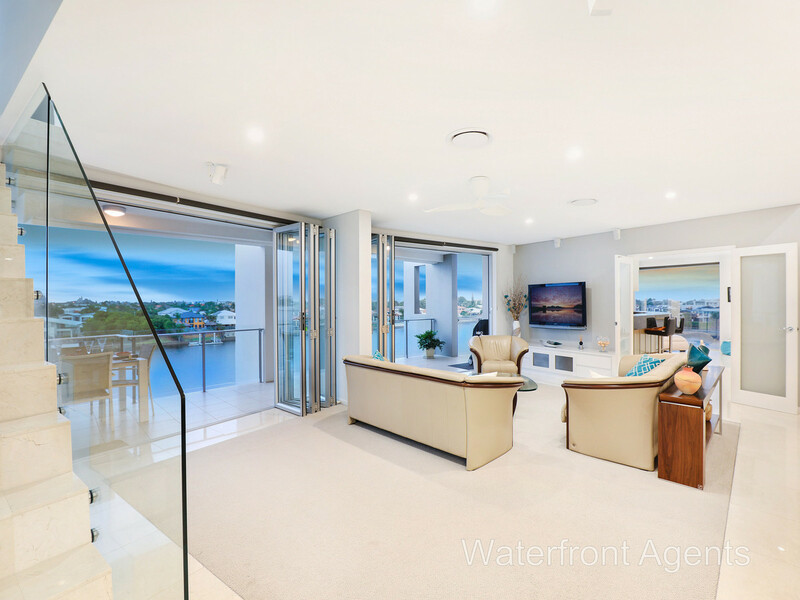 Offering four generous king size bedrooms, four lavish bathrooms, four secure car spaces, an office suite, substantial 20 sqm storeroom/wine cellar, ocean access and a 20-metre marina berth, this is the ultimate change of lifestyle without the compromise. 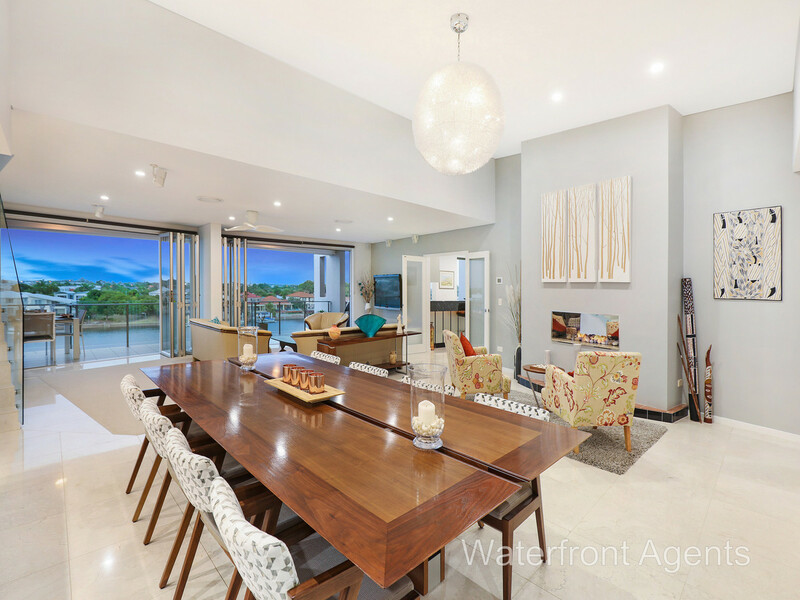 From intimate family meals to large gatherings, entertain with ease in the expansive open plan dining and living areas that open with bi-fold doors to the large balconies. 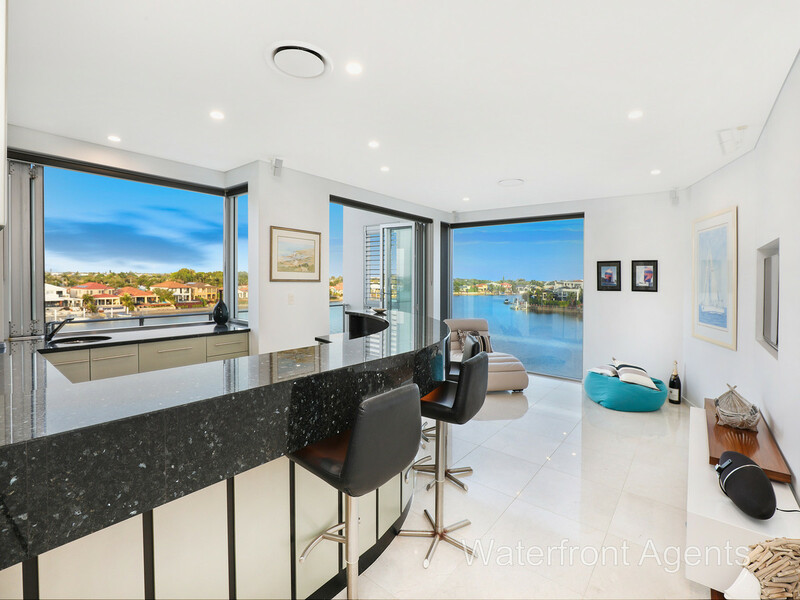 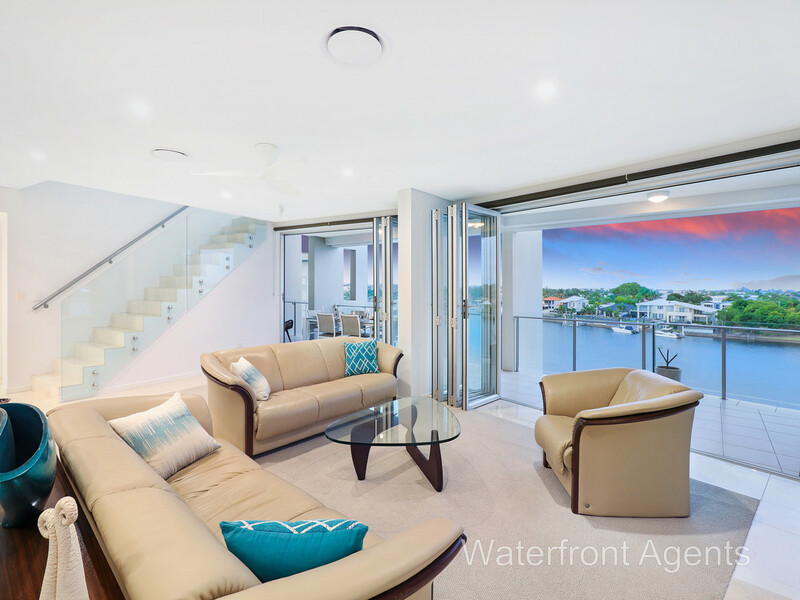 Enjoy drinks in the bar/media room that showcases the lovely water views or connect to the breathtaking surrounds when you venture upstairs from an internal staircase to a private rooftop terrace. 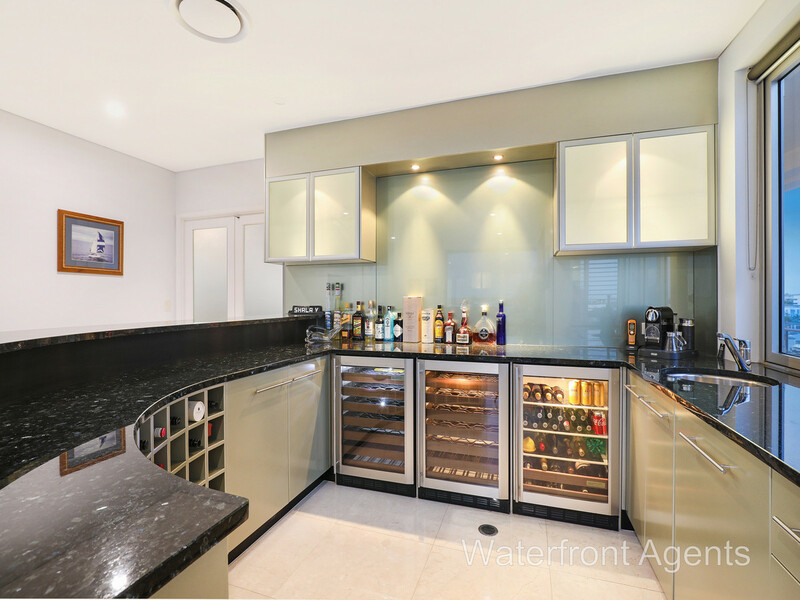 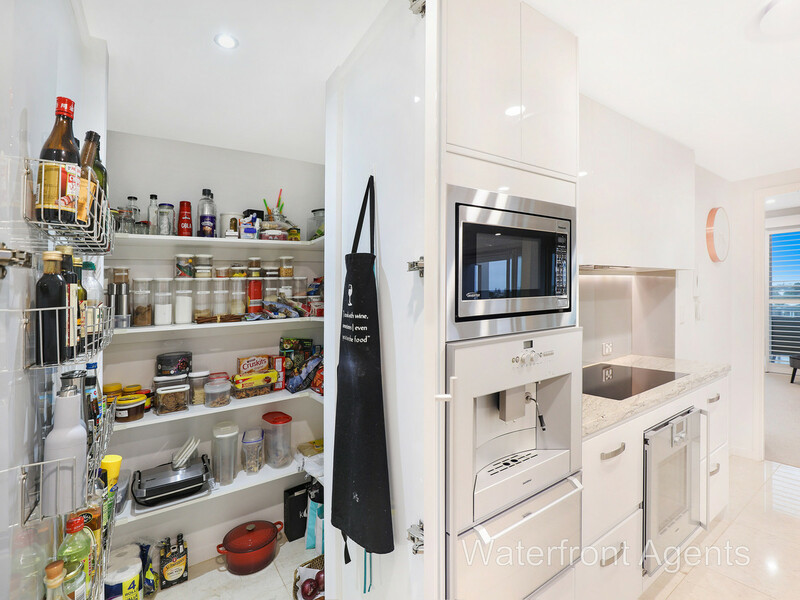 You’ll love the sleek custom designer kitchen with European appliances that takes centre stage, complete with Gaggenau oven, induction cooktop, warming drawer, Zip tap for express boiling water and coffee machine. 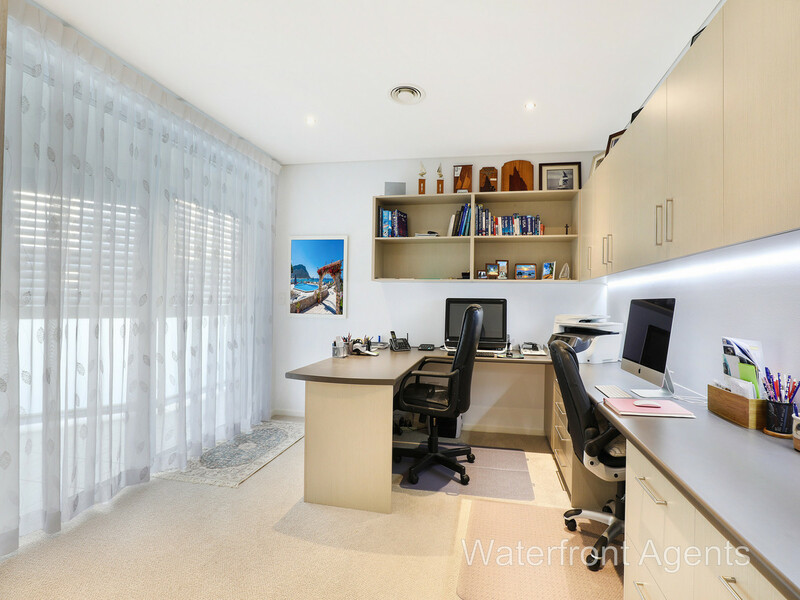 There is space to quietly contemplate in front of a cosy fireplace in winter and for those that do a little work from home there is a spacious office suite. 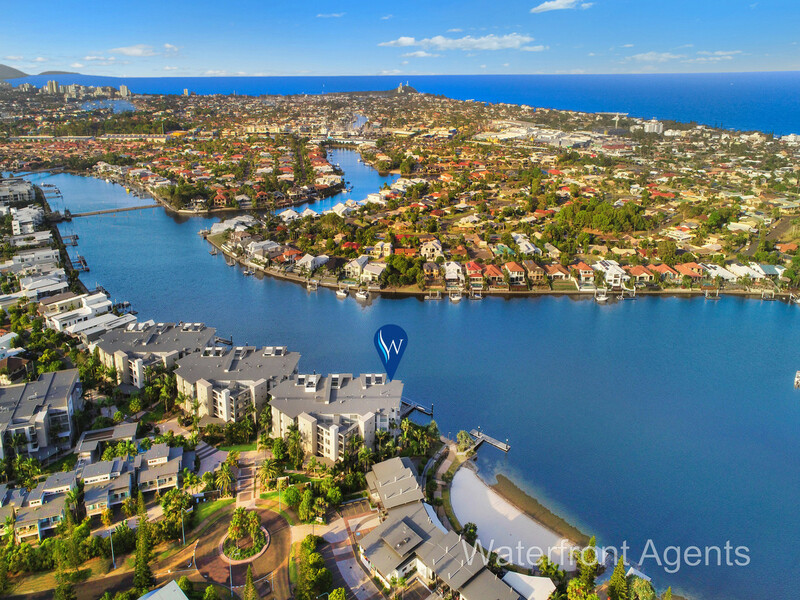 The waterway is protected and has ocean access for the boating enthusiast, with a 20-metre marina berth in place for your pride and joy. 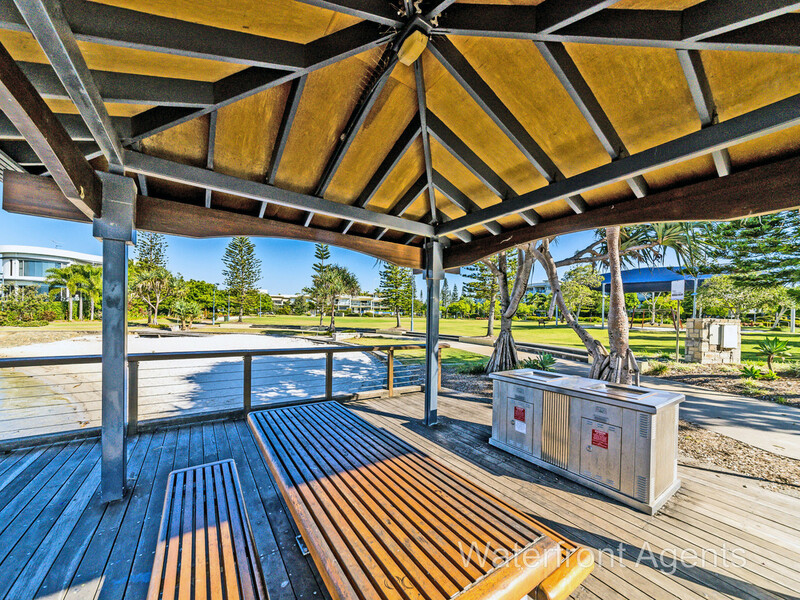 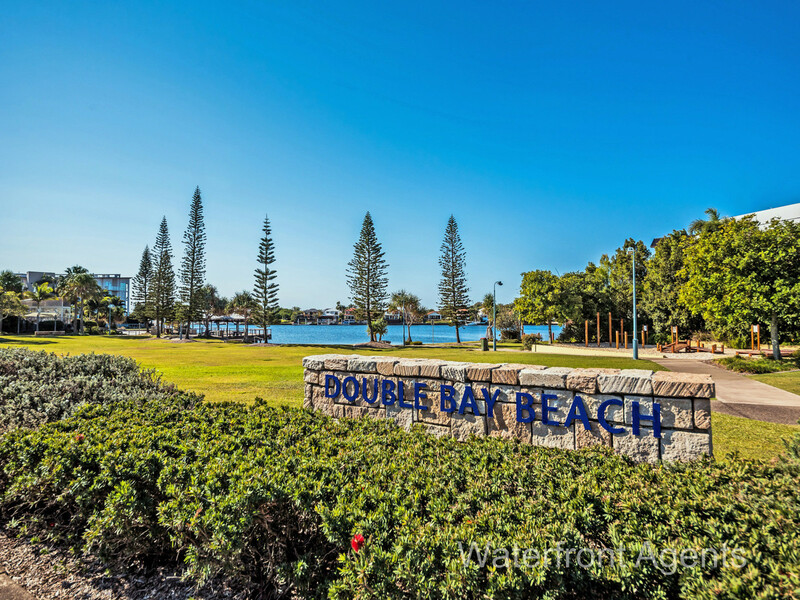 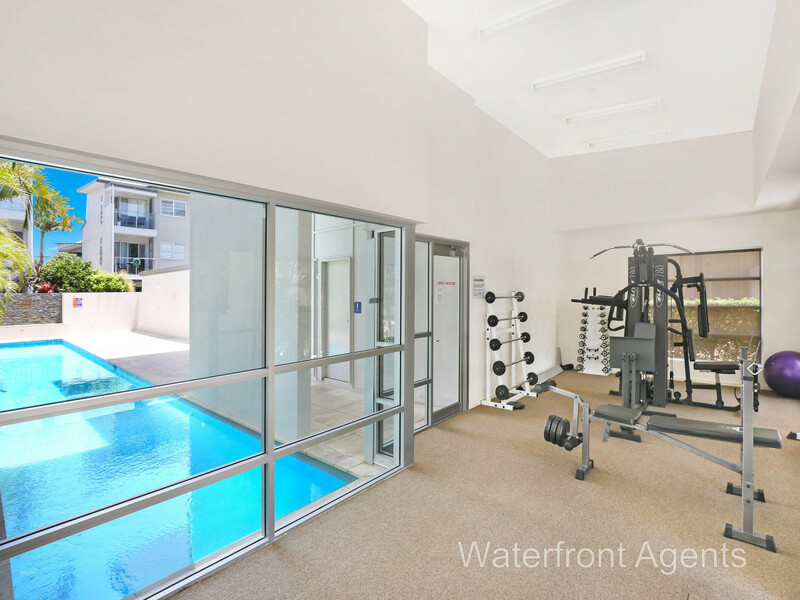 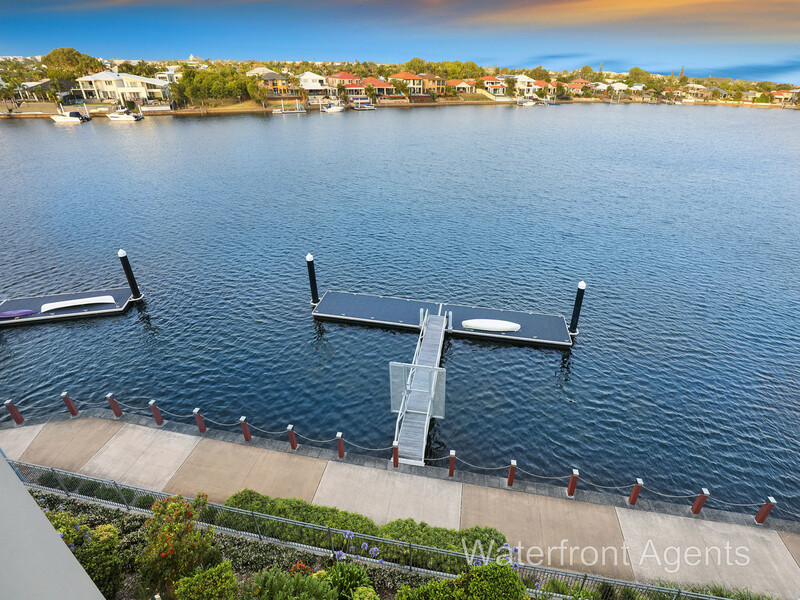 Facilities include recreational and lap pools, heated spa, sauna and gym with cardio and weight training equipment, and this enviable coastal position on Kawana Island has scenic cycling and walking tracks, beaches, parks, restaurants, its own community hall and corner store conveniently close. 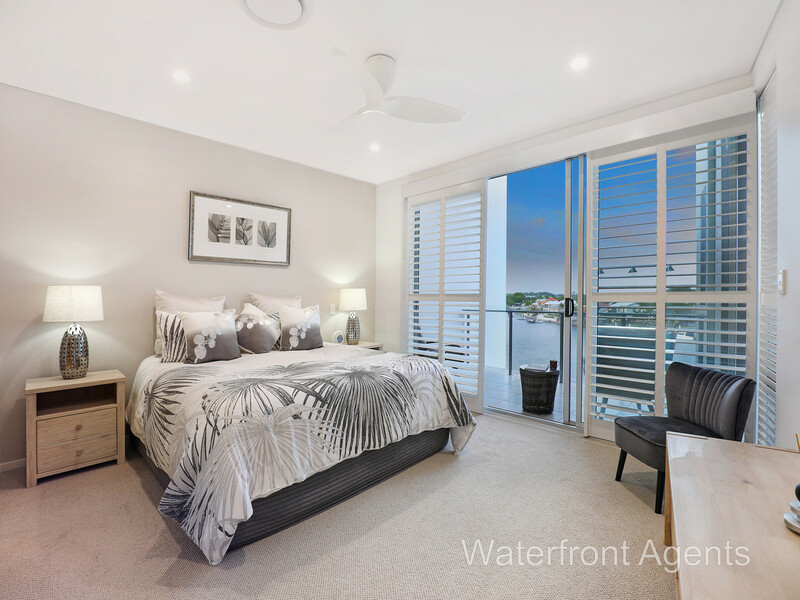 All this and you’re also located only a 5-minute drive to the new Sunshine Coast Oceanside Health Hub and just an hour’s drive to Brisbane. 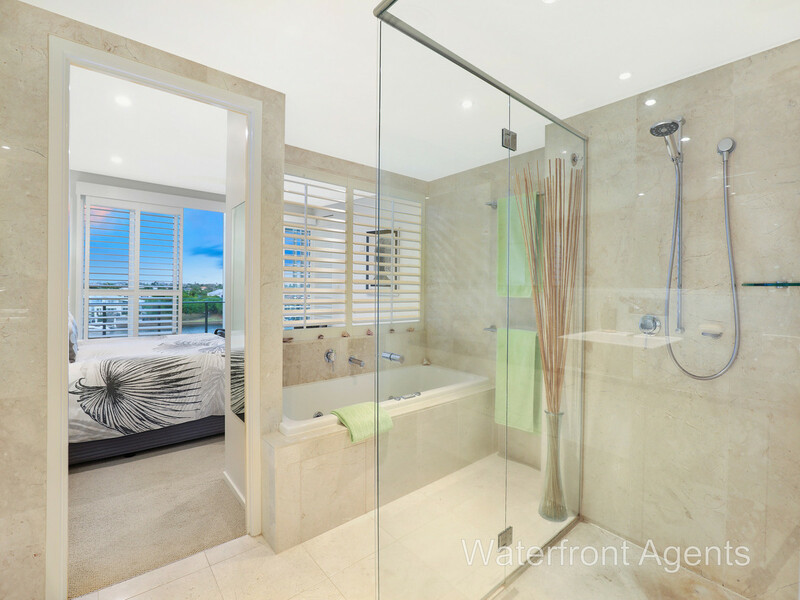 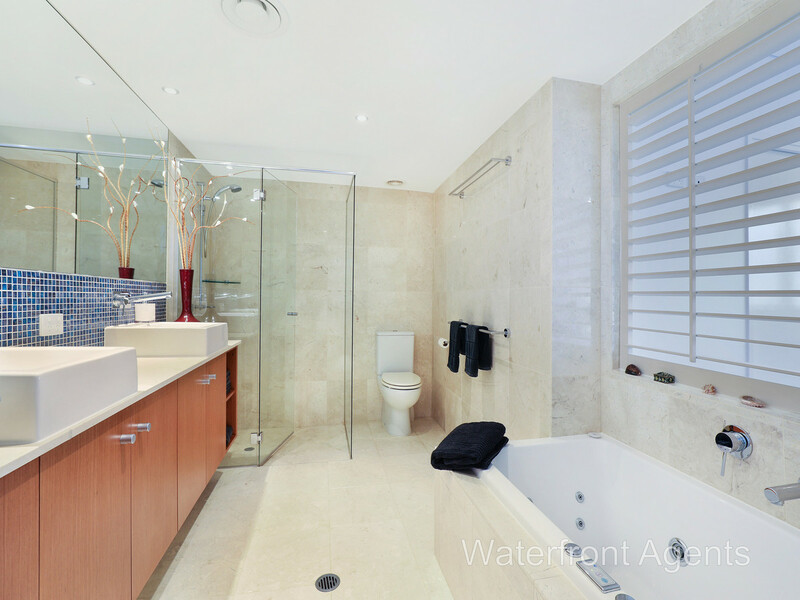 Situated in the Bimini block on the 4th floor, this residence is the best of the best with WOW factor! 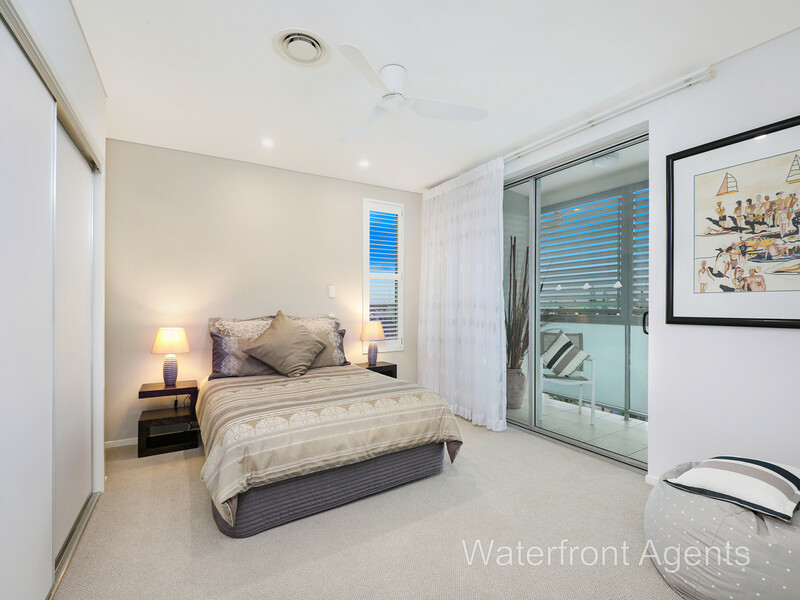 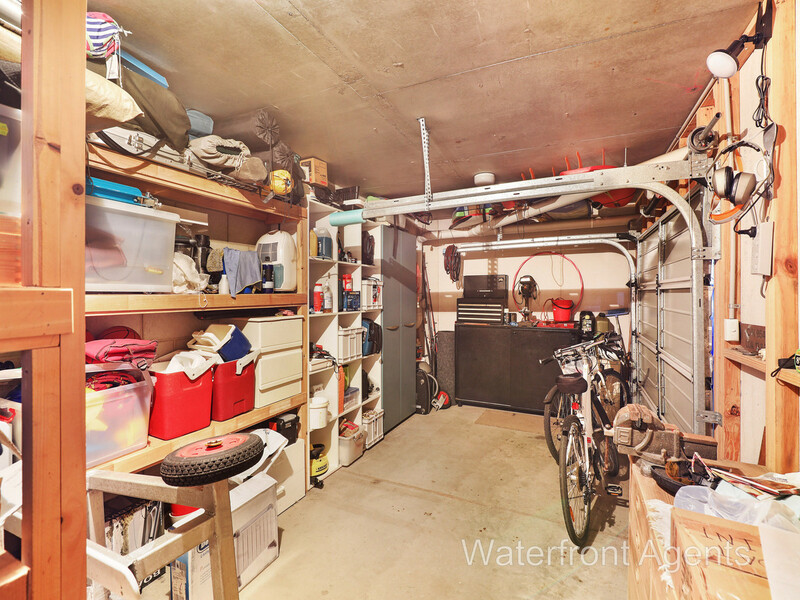 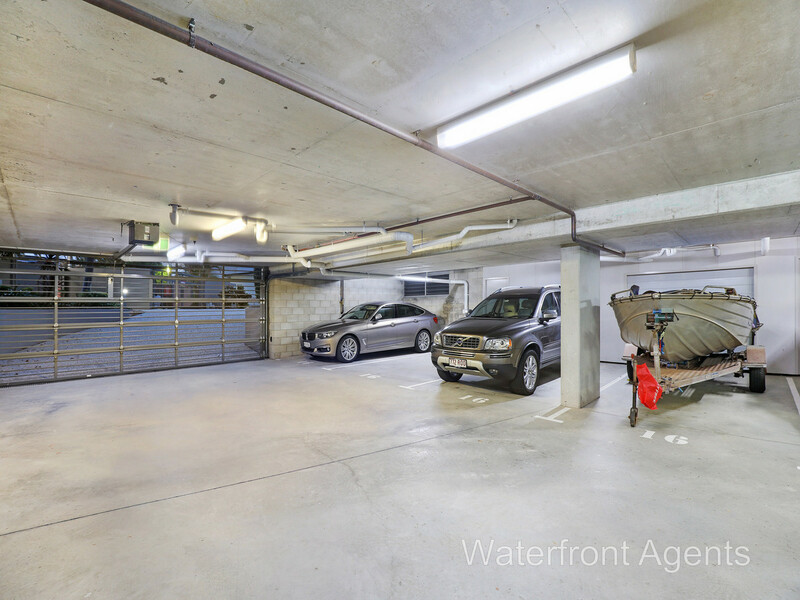 Call Trevor today on 0400 818 777 to arrange your private inspection.